Reserved for Francoise. 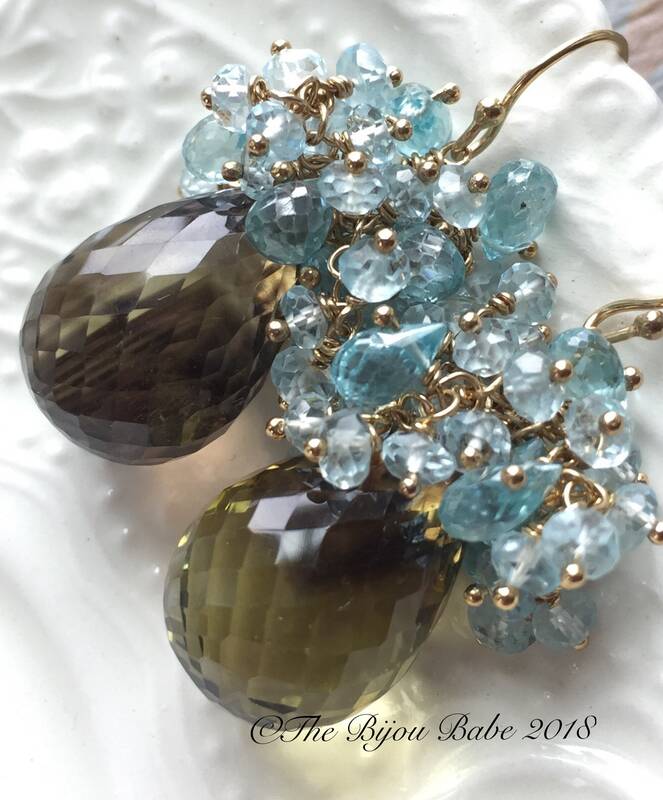 Large teardrop briolettes of bi color (brown and yellow) quartz are topped with dozens of blue topaz rondelles and sparkling blue zircon teardrops, in the "Land and Sea" earrings. The quartz feature a stunning combination of sunny yellow and a smoky brown, and have exquisite faceting that catches the light and makes them sparkle. 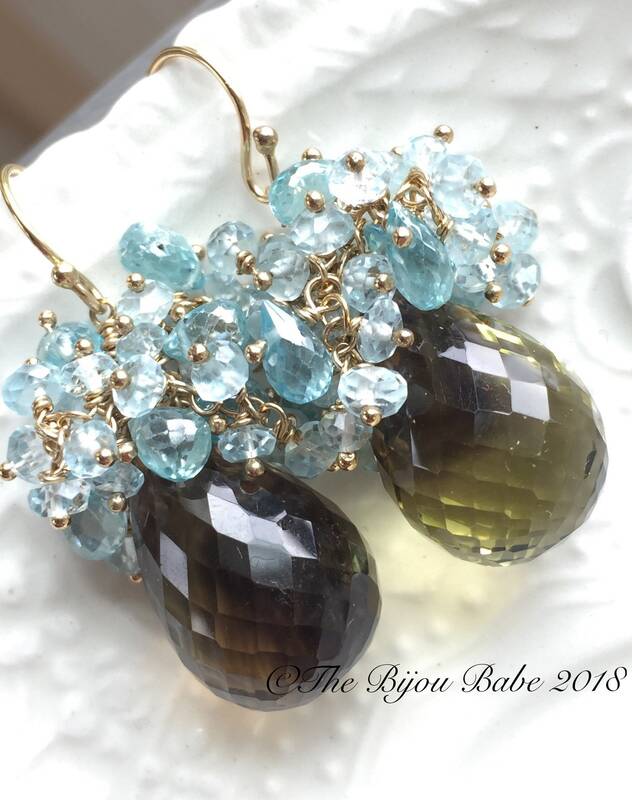 For the cluster of gemstones on top, each tiny stone is wire wrapped to a 14kt gold fill headpin, and the earrings hang from 14kt gold fill ear wire. Gorgeous, show-stopping earrings! Your "Land and Sea" earrings will ship USPS Priority Mail with tracking in the US, and will be packaged in a lovely gift box tied with ribbon.